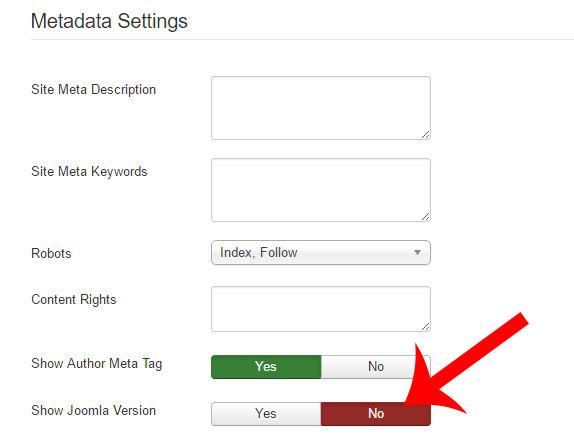 Why remove Show Joomla Version? Showing the Joomla Version is a huge security risk. Why? Because if a hacker knows what Joomla version your website is, and you are a version or thirty behind, you just gave the hacker a list of different ways that your website can be hacked. I totally agree. Why would Joomla create such a function that would jeopardize the security of the site. Having the Show Joomla Version is totally worthless.